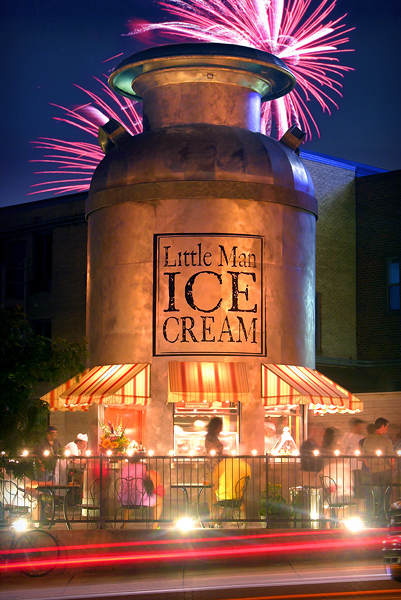 Happy Birthday to Little Man Ice Cream, which celebrated five years in business on Independence Day. We’ve been involved since the very beginning and we can reveal the behind the scenes scoop on the shop’s opening day. 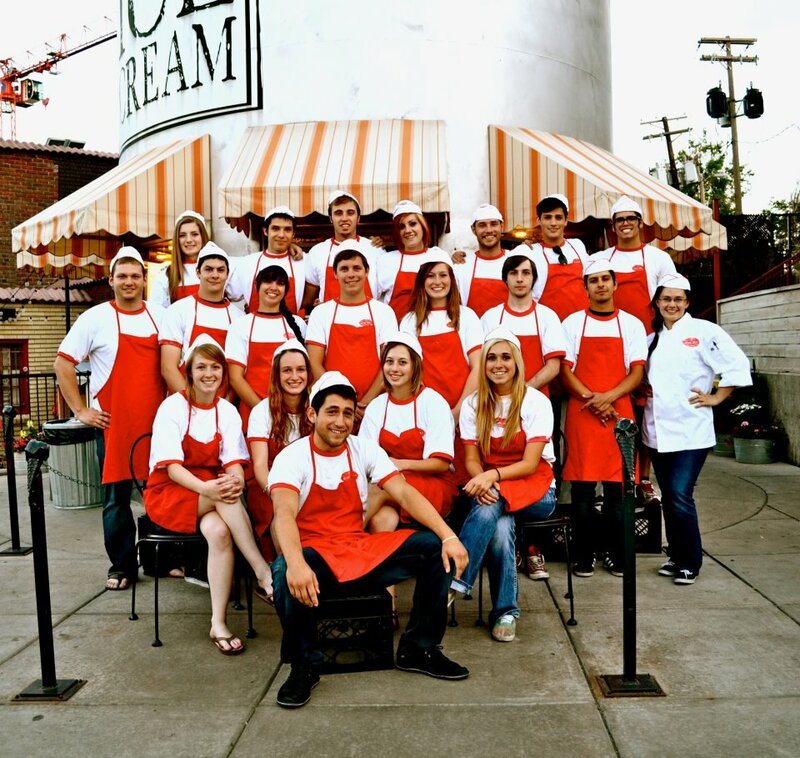 While opening an ice cream parlor on the 4th of July sounds like a slam dunk, meeting that magic date was a challenge. 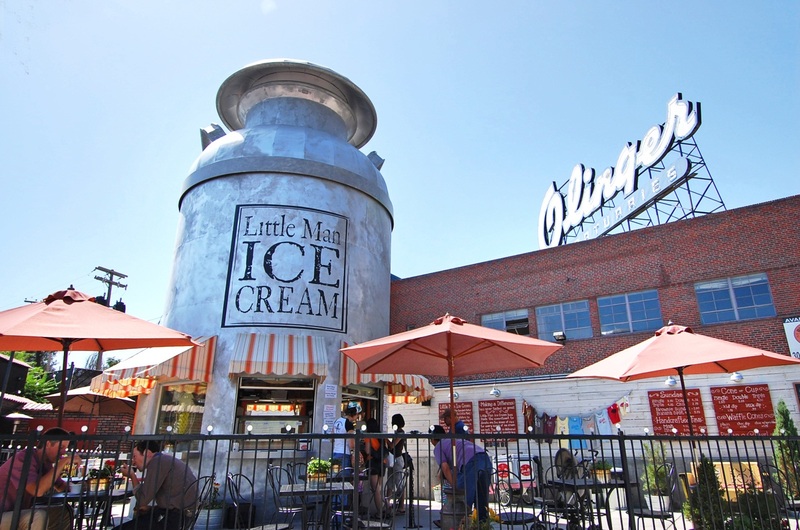 Of course, part of the challenge stemmed from the structure owner Paul Tamburello chose to house Little Man – a giant replica of an old-fashioned milk can made out of steel. Western Steel and Boiler Co. was the only manufacturer we could find to build the “can,” (as it’s affectionately called). The structure arrived on a flatbed trailer and was delivered to the site on July 2nd, giving us two days to get it painted, have the windows and interior installed, awnings attached and electricity hooked up. 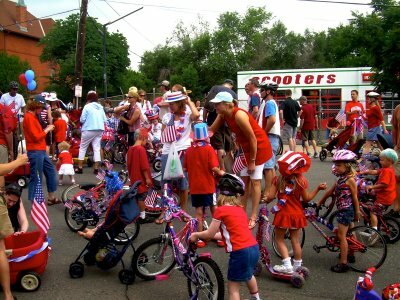 It took a village, but Little Man managed to open on Independence Day as planned. (Check out this great photo album, which chronicles the “can” coming together). Since that special day, Little Man has chosen to mark its birthday by giving back to neighborhood. 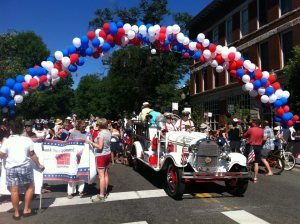 The shop is a sponsor of the Highland 4th of July Parade and serves up a 60-foot ice cream sundae as part of the festivities. After a brief (and I’m sure torturous) countdown, local kids chow down on the oversized ice cream treat. Bluegrass Sundays: Bluegrass bands take the “stage” at LoHi Plaza from 3 p.m. to 5 p.m. every Sunday. Magic Mondays: Every Monday night, roving magic man Dan the Magician entertains patrons in line and on the patio from 7:30 p.m. to 10 p.m.
A Scoop of Jazz: Thursdays were made for jazz lovers, with live jazz performances from 7 p.m. to 9 p.m.
Vintage Movie Nights: There’s nothing like watching a movie under the stars, especially if the main attraction is a classic. Catch these special flicks on these select Saturday evenings starting at dusk. Movies will be shown. 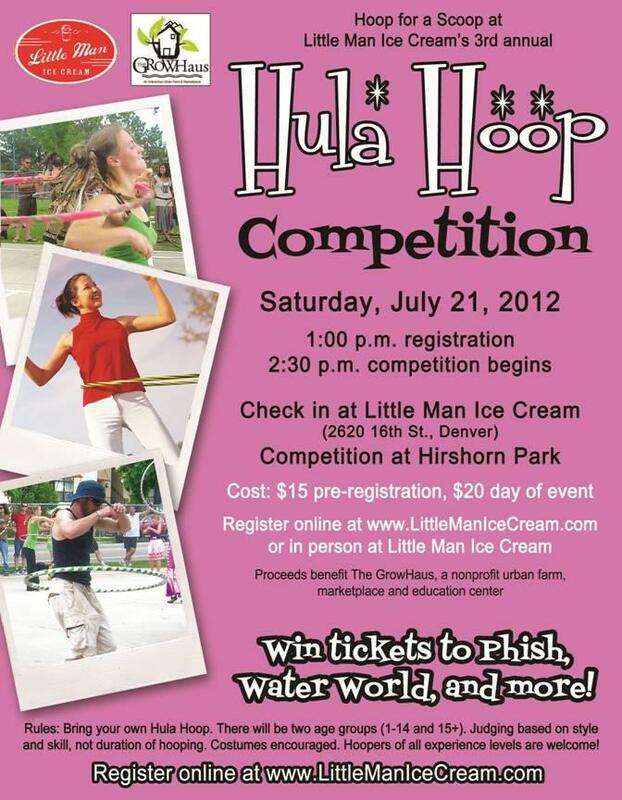 In addition to these events, Little Man will also host a variety of special events throughout the summer, including a Hula Hoop contest on July 21st to encourage pint-sized patrons to exercise. Registration fees from the event will benefit GrowHaus, an urban farm and market focused on building healthy communities. Click here to register. The Stasko Agency has been the agency of record with Little Man since its inception and we’re proud to be associated with such a fun and philanthropic-minded business. 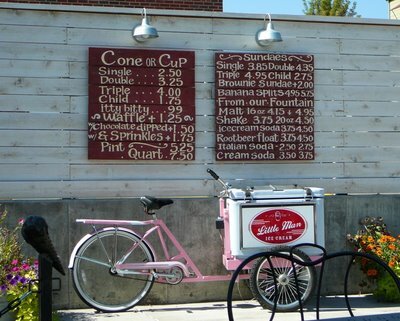 Stop by this summer and have a scoop. Real Estate Editors Visit the Mile High City 2785 Speer Apartment Community Breaking Ground in Jefferson Park!